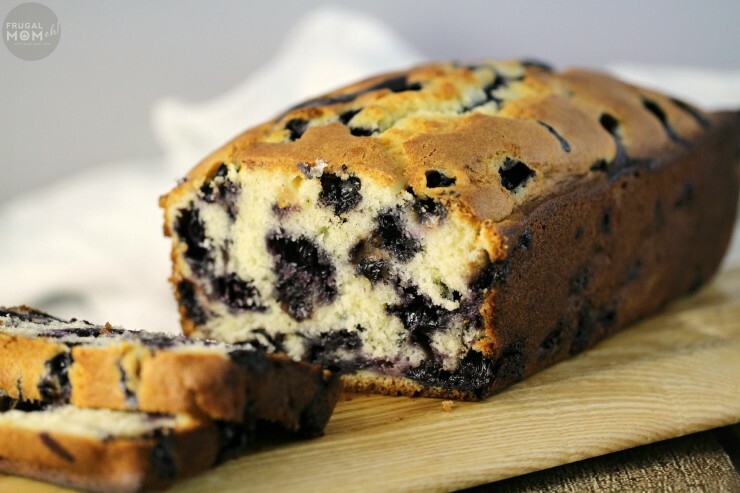 This Blueberry Muffin Bread is a favourite Recipe. 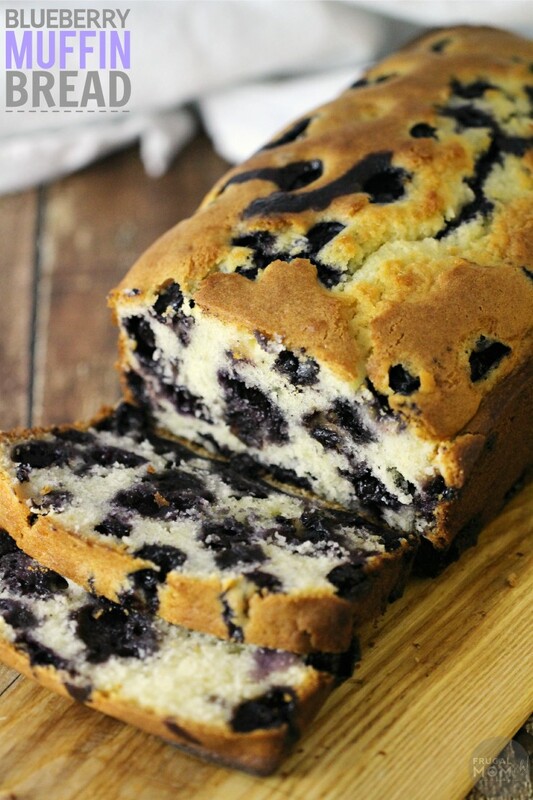 This blueberry loaf is wonderful after dinner with some coffee but equally good for breakfast. This Blueberry Muffin Bread is just the yummiest bread for breakfast or really any time of the day. I used frozen blueberries I had picked myself and froze last year – they were still very fresh tasting. This bread is even better with freshly picked berries, so if you can do that go for it! Grease a 9 inch loaf pan. Add the eggs, vanilla and milk beating well. Add blueberries and mix by hand gently with a spatula being careful not to crush the berries. Pour batter into your loaf pan and bake for 60-75 minutes or until a cake tester comes out clean. Allow to cool in pan for 10 minutes before removing to finish cooling. 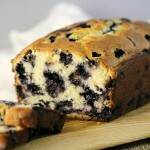 Great Tip: Reserve a small handful Blueberries for after the batter is poured into the loaf pan. Gently press them into the top to make the loaf look prettier. Trust me. Note: If the inside of your muffin bread is not cooked through that is usually a good sign that you need to keep it in the oven longer. If it is browned on the outside and still uncooked inside, simply cover with foil and return to the oven until a cake tester inserted into the top of the muffin bread comes out clean.